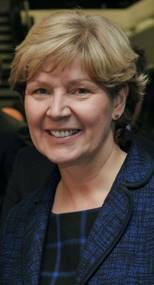 Louise Third was awarded the 2014 Start Your Business Lifetime Achievement Award for services to enterprise in recognition of her contribution to small business support and promotion over 25 years. Louise was previously editor of the Business Adviser, the official journal for the Institute of Business Advisers, now part of the Chartered Institute of Management. She has worked on high-profile publicity campaigns promoting enterprise in the UK and has dedicated much of her career to promoting female entrepreneurship. Louise has been a strong supporter of Prowess over the years and spearheaded many of our campaigns in the past. It’s great to see the depth and commitment of her experience acknowledged in this way. And it also provided a great opportunity for us to invite her to share that experience with the Prowess community. Read on for the Louise Third Q&A. How did you first get involved in small business support and promotion? One of my geography degree assignments was to study the role small businesses play in economic regeneration. That was 1982 and in the North East, which had been decimated by the closure of shipyards and coal mines. I became fascinated by the early work of the very first Local Enterprise Agencies and in 1983 joined the Board of Project North East whilst managing a Community Business Venture project for the Tyne & Wear Enterprise Trust. I recall the meetings with various women’s groups in Gateshead and South Shields as they looked for alternative ways to run local facilities through Credit Unions. 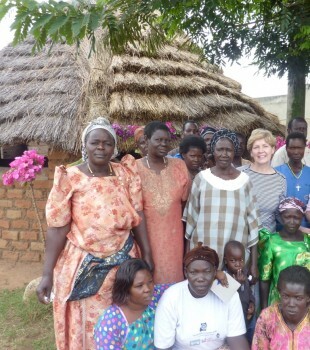 It’s amazing to think that 25 years on, in November 2014, I was sitting with a similar group of women, but this time as a charity volunteer and in a remote village of north-eastern Uganda. I was monitoring the effectiveness of the Village Savings and Loans Associations (VSLA) supported by the Teso Development Trust (TDT) and already empowering these women to save and invest in education, health and enterprise. The busiest period in my early career was pre-children when I worked for Sheffield Enterprise Agency and headed up the youth enterprise and women’s business programmes. Managing Shell Livewire and monitoring loans for the Princes’ Trust led me to be chosen by Yorkshire Television to act as Chair of Judges on the annual EnterPRIZE competition TV show – an early version of Dragons’ Den, and Apprentice, but far more true to the reality of business! This was my first brush with the media and a foretaste of life in PR. Integra Communications was launched in 2001 and established a solid reputation for national PR across the enterprise support industry. By 2003 I was editing Business Adviser magazine for the Institute of Business Advisers and handling the PR for organisations such as the National Federation of Enterprise Agencies, SFEDI, the Social Enterprise Coalition, Prowess and WiRE. Building relationships with the key business editors enabled me to work alongside the British Chambers of Commerce President Isabella Moore in the successful campaign to establish a Women’s Enterprise Task Force under the Brown government. When public funding for enterprise support started to dwindle from 2007, Integra was invited to handle the PR for an early-stage life sciences business incubator, BioCity, in Nottingham. We subsequently helped to launch BioCity Scotland, BioHub at Alderley Park and MediCity. The latter now provides our main office base from where we service a number of bioscience, healthcare and med tech innovation businesses. Small business support has been a turbulent industry over 25 years. What is the secret of your resilience and success? I guess it must be down to my early experience in both Newcastle and Sheffield – experimentation with new enterprise support programmes – as well as developing and maintaining contact with those I met in the 1980s. For example, I continue to handle PR for Professor Colin Mason, an expert in business angel funding but someone I first came across when I referenced his early academic research in my undergraduate study of SMEs. The decision to move from business advisory work into PR gave me both an understanding of the smaller business and the media. I measure success on the impact made, and I believe our major clients, as well as the charities I support, recognise the added value PR has brought to their standing and reputation. What have you learned about promoting small business support and female entrepreneurship? From a media perspective, news stories about smaller growing companies run by characterful individuals are like gold dust. It has been a real pleasure to interview and promote hundreds of enterprising individuals for news pages, magazines, radio and TV. So being an imaginative and creative storyteller helps others to understand the small business start-up and growth process. For a time, I also promoted the role of the Business Adviser and Mentor, which added a further dimension to these stories. Whilst we need to be aware of the barriers many women face when starting a business, I’m convinced promotional campaigns should focus on the benefits and opportunities self-employment and business ownership undoubtedly bring women. This is the approach to self-help taken in Uganda through the Women’s Cooperatives, where training in business skills is combined with self-awareness and confidence-building. If inspiration provides the motivation to get up and do something, then my two daughters, now 24 and 22, have had a significant influence on my most recent ventures. Both used their gap years to work in some of the world’s poorest communities, and it was their example that inspired me to want to volunteer for the Ugandan charity, Teso Development Trust. I travel out on monitoring visits, and come away inspired by the determination and resilience of village women who manage so much on so little. I feel women in the UK could learn a great deal from their African sisters. What is your best piece of advice for women in business? Don’t allow self-doubt to undermine your goals. Find a supportive friend or mentor to help you appreciate what you are achieving and to remind you just how far you have travelled. What’s next for Louise Third and Integra Communications? Integra Communications still has several years to run and there are plenty of business support, innovation and finance campaigns in need of creative promotional campaigns I would happily manage. I will continue to provide pro-bono PR support to charities tackling poverty in the UK, including the food banks, and will play an active fund-raising role for the Teso Development Trust. In retirement, I can see myself working out in Uganda for several months a year in enterprise development, support and training.